Vote for your favourite Classic Beach Books! Summer is a few months away in Australia and to celebrate its arrival, Australian Broadcasting Corporation (ABC)’s The Book Club is having a poll. The show wants to know your favourite Classic Books for the beach. Cast your vote at this link between 2nd of September and 4th of November. Ten most popular Classic Beach Reads will be announced in a special one-hour episode on 2nd of December at 10 pm. The Book Club is aired on first Tuesday of every month at 10 pm. Each episode is described as “an explosion of robust and passionate discussion covering one new release book, and one enduring classic”. For more information on the show, visit the official site, Facebook page and Twitter. ‘Bahasa Malaysia’ is the national language in Malaysia. English and Mandarin are widely spoken, particularly in main cities such as Kuala Lumpur and Penang. Education First’s English Proficiency Index listed Malaysians as highly proficient English speakers. Yet recently several people have noted that English proficiency of Malaysian university graduates are quite low (read articles written by The Sun, Lok Wing Kong and/or BA Hamzah for more details). As a result, these graduates become unemployable in the English-medium private sector (‘Bahasa Malaysia’ is the medium of instruction in the government sector). There are many ways to improve one’s English language skill. One of the ways is to read (click here to see other strategies). 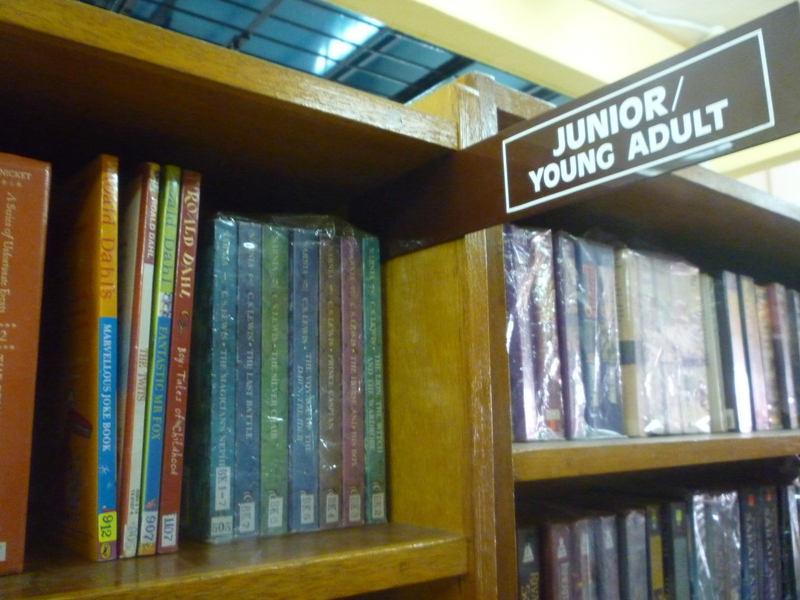 Even though these titles are categorised as young adult and children’s books, the language deployed in each book is rich. The plot has substance hence making it appealing to adults and teenagers. Some of the suggested books are available from SS Readers Corner. Visit our store to rent the books and work on improving your English proficiency. ps: This is a serial of blog posts to encourage people to borrow/rent books. Click on the number to read previous posts: #1, #2, #3, #4 and #5. Almost two weeks ago, I wrote about Books About Town’s BookBenches project. In summary, the project is a celebration of London’s literary heritage and enjoyment of reading. Fifty books that highlight London’s best were chosen and painted onto book-shaped benches. These BookBenches are placed all over London city. Some people were surprised that certain London fictions were omitted from the project. Many believed that ‘Harry Potter’ by J.K. Rowling was snubbed. The Guardian has graciously asked readers to nominate and vote for their favourite book that was not selected for the project. The winning vote will be honoured on an extra bench, number 51. Votes were cast and congratulations to Neil Gaiman! The 51st BookBench will feature artwork inspired by ‘Neverwhere’. The bench will make its appearance at the end of August. Details of the artist will be revealed soon. ps: SS Readers Corner has 2 copies of ‘Neverwhere’. I am borrowing a copy and looking forward to experience a London adventure. Have you read the book? If ‘yes’, then ‘Like’ this post. 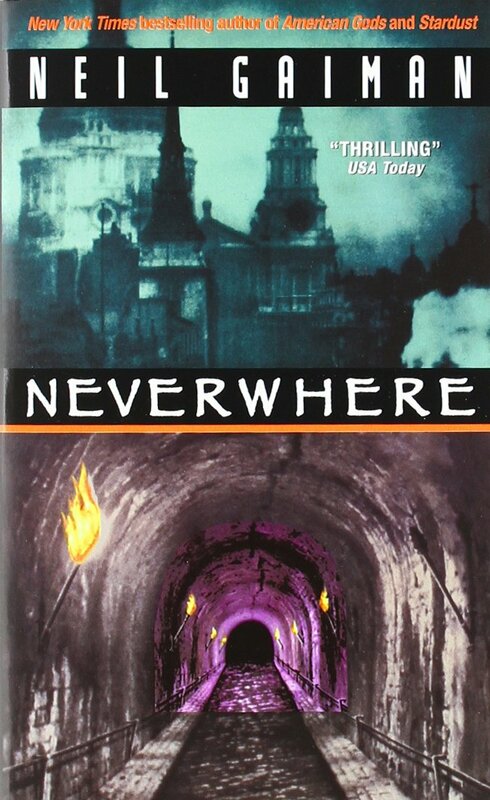 Our copies of ‘Neverwhere’ has this cover design. How do you arrange your collection of books? This post is a response to The Guardian’s poll on home library. Most of the readers (37%) organised their home library according to genre. This is followed closely with ‘alphabetically by author’ (18%) and ‘totally random’ (14%). Check out photo contributions from the readers to The Guardian. My favourite is definitely ‘Literary Spectrum’ (the one featured in the article) because I have never seen a personal collection of books that are arranged by colour. I organise my books according to genre. However nowadays my books tend to be randomly placed due to the lack of shelf space. I have a L-shaped built-in bookshelf. If you look at my ‘shelfies’ (below), the books that are lying horizontally are newer than those that are standing. From left to right: Suspense, Young Adult, Fantasy, Travel & Language. How do you arrange your collection of books? Cast your vote in the poll below. Bookmark vs. Dog-ear: How do you record the last page read? When I got the job as a website admin/blogger for SS Readers Corner, I enthusiastically shared the news with my book-loving friends. Our discussion, which started with my responsibilities, shifted to our reading habits. One friend asked, “Do you dog-ear the pages of your book?” and my response was a firm no. I love books regardless whether they are mine or borrowed. I am a known bookworm amongst friends and family so I get plenty of bookmarks as gifts. I usually have a book in my handbag so I carry a bookmark with me all the time. I would never fold the corner of a book page. There were times when I couldn’t find a bookmark and was desperate to record the last page read without damaging it. The easiest solution: grab any flat item within reach (usually in my wallet or purse). There are plenty of choices for a makeshift bookmark (refer to picture below) but the most popular ones are used train tickets and receipts. 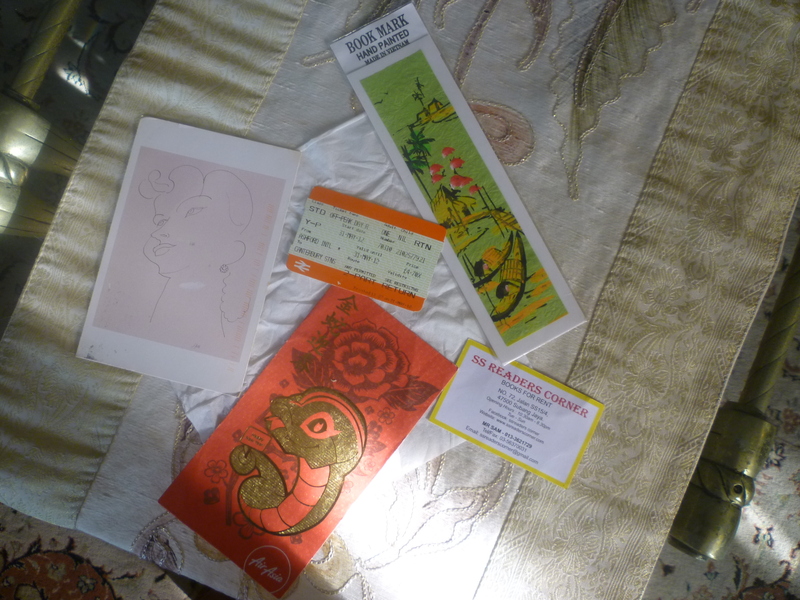 The different types of bookmarks I use: a proper bookmark, a business card, an ang pow (a money envelope), a postcard, a train ticket and a tissue. How about you? If you use a bookmark or any item(s) displayed in the picture, like this page. Do you use other creative methods to mark the last page read? Share your views in the comment box below. Alternatively you could answer by voting in the poll.